KAMPALA- The arrest warrant that the Committee of Commissions, Statutory Authorities and State Enterprises (COSASE) had threatened to slap on Justin Bagyenda, former Executive Director Banking Supervision, Bank of Uganda has Thursday been extended to Monday after she pleaded for more time to travel back from the United States of America. Through her lawyers, Kirunda Wesige & Company Advocates, M&s Bagyenda who ‘thanked’ the Committee for extending their earlier summons, revealed that attempts to have her air ticket re-booked so as the reach within the Thursday summons, failed and could only be in position to arrive to arrive at Entebbe on November 2, 2018. M&s Bagyenda also denied claims that she was in Nairobi as had been alleged by some MPs and her lawyers asked Abdu Katuntu, COSASE Chairperson to keep details of her iliteneraly confidential citing security concerns. However, Mr Katuntu declined Bagyenda lawyer’s pleas saying it wasn’t necessary saying there was no need to keep her travel details confidential pointing out that in case of any security concerns, Ms Bagyenda can have her security beefed up at the airport. Ms Bagyenda has since Friday last week snubbed her appearance before the Committee that is conducting an inquiry into the conduct of Bank of Uganda and it’s officials in the closure of seven banks, with some ending up in massive controversy. 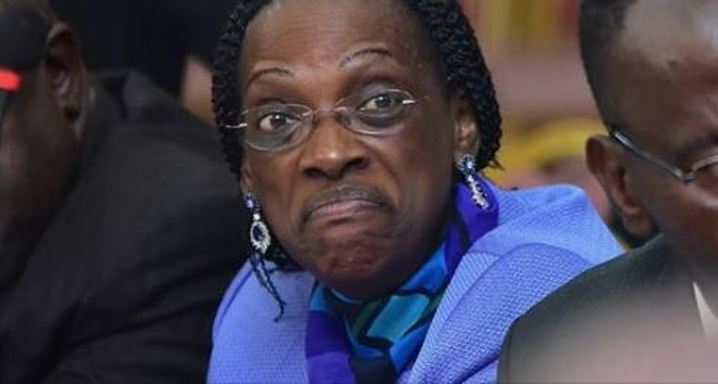 Ms Bagyenda, a key figure in the central bank’s drastic measures now under review, had been ruled in contempt of parliament by the MPs, after she wrote last week to inform the committee that she would not be available until December 13, yet she is a key witness in the inquiry. Ms Bagyenda and Mr Benedict Ssekabira, the director of Financial Markets Development Coordination, are needed before the committee to present evidence of reports on how the value of assets of three closed commercial banks assessed so far, was reduced from Shs117b to Shs98b after the Central Bank took over the liquidation. Cosase Chairman Abdu Katuntu adjourned proceedings last week, after both Mr Sekabira and Ms Bagyenda failed to present evidence of submission of reports to the Governor Emmanuel Tumusiime Mutebile and appointment letters for Mr. Sekabira as demanded by Committee vice chairperson Ms Anita Among.